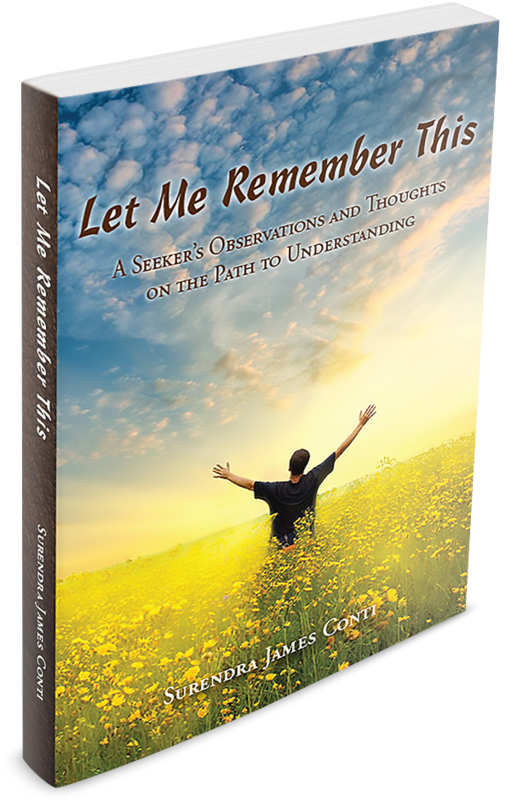 Let Me Remember This – A seeker’s observations and thoughts on the path to understanding. A seeker’s observations and thoughts on the path to understanding. Practical in its wisdom, provocative in its perspective, and generously infused with humor and heart, Let Me Remember This is a journey of self-discovery for the writer and reader alike. It’s a journey into the consciousness of all that we are and all that is. Although each of us is unique, our quest is the same: to realize our highest potential, which is not of this earth. These essays invite us to see our way to that summit. Ultimately, it is less about learning anything new and more about remembering what we’ve forgotten: that we are beings of light, divinely endowed. Joy awaits within. Some would say the opposite of reason is madness, and yet madness has often been the result of what we reason to do. Truth is all that really counts. It is at our peril that we ignore or distort it, for it alone will have the final say. If you would be here now, you must take off your “expectacles” and own the moment as it is. … And remember: You must be present to win. Greetings and welcome. . . As an avid observer of life in all of its manifestations – familiar, peculiar, and inscrutable – I invite you to join me in this book on a journey into the wilds of what I have seen. My experience, although unique, is collectively ours. The hopes and fears we share, the joys and woes we have known, are surely much the same. Born in 1943, I was raised in the heady years of post-war renewal, a great time to be a kid. It wasn’t until twenty years later, November 22, 1963, that the world changed for me and my generation. It happened in barely an instant. The assassination of President John F. Kennedy took the innocence out of our sails. As I look back now from my mid-70s, my journey has meandered through many careers and occupations, all of which have served to inform the writer that I have become. 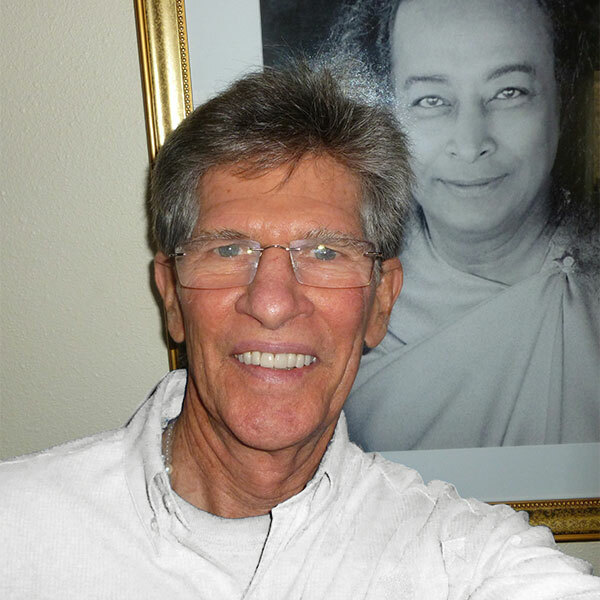 Above all, it is my spiritual path, however – a universal blend of “original Christianity” and the Vedic wisdom of India – that has led me to who I am, why I am here, and what this human jitterbug is all about. For that blessed perspective, I am most deeply indebted to my guru, Paramhansa Yogananda, and his direct disciple, Swami Kriyananda. Let Me Remember This is a book of essays and commentaries. In it you will meet my heroes, encounter my peeves, hopefully enjoy the humor that underlies most of our fears and frustrations, and hopefully too, find a wealth of ideas that could be applied to make this world a happier, healthier place for one and all. My life has not been one of extremes, nor of exceptional drama. But in the course of my years, I have seen changes in the world that have far exceeded the science fiction of my youth. The age of atomic energy, which exploded into existence when I was a child of two, has since given way to a dozen successors, the latest of which is the age of virtual reality. What next? We have landed men on the moon, mapped and demystified the wonders of the human brain; and now, in our startling output of innovation, it seems we have come to the brink of wonder’s demise. Who is surprised by anything anymore? I have been journaling my thoughts and observations since the 1970s. This book of essays, reflections, and poems has been culled from that volume of work, ranging widely in content, with an emphasis on my inward journey. It’s a compilation of reminders, to me in particular, to live the teachings that I have been blessed to receive and put into words. We search. We explore. We discover. In the end we find we are back where our search began, seeing at last that all is a dream, that all is God, that our quest was only to know who we are and rise to the occasion. If asked to defend his infamous deeds, Al Capone would surely have claimed to be a daring crusader—a freedom fighter of sorts—regrettably misunderstood by the less courageous. Like any ambitious entrepreneur, and not unlike the rest of us either, he believed in his goals and in what was needed to reach them. Al, like everyone else, was in pursuit of happiness. He simply misunderstood where it resides, and so, apart from piling up karmic debt, he was never able to achieve his objective for more than a fleeting span of time. He may have appeared powerful—among the “fittest” according to the clout he wielded—but in truth he was terribly weak, especially in moral character, higher awareness, and thus in potential to survive. Everyone takes delivery of the unwanted. You don’t have to sign for it; it arrives in your inbox, in your hand or in your face, unbidden except as a consequence of some previous karmic mistake. The trick is to find within it the hidden message of love and opportunity it carries, knowing that nothing is not as it needs to be, and to meet its challenge with willingness and corrective action. What makes this difficult, of course, is our conditioned resistance to everything we dislike and seemingly did not invite. Required is a change of attitude, which starts with acceptance of change itself, and with letting go of thinking that we deserve better than what we received. The undesirable arrives, by degrees, as a creeping inevitability or sudden ambush. It may be what we have feared and postponed, or a karmic detonation without warning. Worst cases come with chaos and confusion. To find the hidden message in the unwanted, we have to approach it calmly. Only then will it allow its guidance to be gathered. Chaos and confusion are not pathology. They are part of the path, to be calmly encountered, resolved and left behind. You must give disturbance a home before you can evict it. To meet the dawn, we must endure the night. And if we endure it rightly, we will find it not so dark as tales tell. It is but a length of time that is certain to pass, faster as we lose your fear of the noises it makes. Take heart and see it through. Even in the deep of it, there are stars. What we have here is a treasure hunt, and most people don’t even know what the treasure is. They think it is something outside themselves that involves the correct application of clever thinking. They rely largely on their emotions to tell them what they want, and if they manage to get it, they soon discover that its flavor doesn’t last, so they start the whole exhausting process again. . . and again and again and again. Years ago, there was a popular TV show called Mission Impossible. It has since inspired a series of truly impossible Tom Cruise movies. But in the earlier TV version, before the advent of computerized special effects, the stories were almost believable, and the opening scene was always much the same. A phone would ring in a telephone booth in some remote location, and special agent Jim Phelps would be there to pick it up and receive his assignment. A voice on the other end of the line would say, “Your mission, Jim, if you choose to accept it, is to…” well, to do whatever was needed in the next 60 minutes—between commercials—to save the world from some fiendish plot. It was all very cool and suspenseful. In today’s competitive America, money is the mouse that roars. We have been sold on its power to secure the future. Never mind the transparent myth that supports this misconception, it tones like a mantra in every commercial setting we encounter. Is it any surprise that principle and faith tend to suffer greatly at the altar of financial gain? Consistent with money’s preeminent place in society, making more of it is often a person’s first order of business. Gotta get that raise! To many, this is their validation of worth, not to mention the means to exercise more expensive desires. But at the end of the day, what are we left with? Little by little, we ravage ourselves to earn those extra dollars, to win the next promotion, to get ahead of everyone we can. Yet, the highest potential raise of all is the one we pray to forestall. Thanks to our conditioning and its skewed priorities, leaving this physical life tops the list of what we dread. Someday you and I will be lifted from this burden of flesh into the lightness of being, and we fear the event like a terrible curse. Death, poor fellow, has been cast in black to play the villain’s role, his merciful nature despised. How easily a truth is inverted to serve a material wish, an emotional attachment, a selective blindness! “Life is a vagrant,” said Paramhansa Yogananda, “appearing and disappearing like a river in the desert of time.” We cannot suspend its passage to suit our personal dreams. But damned if we don’t make the effort for as long as breath allows. Why are we bent on regarding death as a loss? To the wise, there is no end as we perceive it. Death, for even the weakest and most profane, is a ticket to understanding beyond all earthly scope. Furthermore, for those who strive to put love ahead of material possibilities, death is a liberation from limiting dreams altogether. In his book Rays of the One Light, commentaries on the Bible and Bhagavad Gita, Swami Kriyananda opens each essay with these deeply meaningful words: “Truth is one and eternal. Realize oneness with it in your deathless Self, within.” That is to say, truth emanates from experience, inner experience. “Within” is the one and only path to clarity that endures, the path of saints, for it far surpasses in verity the intelligence we claim from all external sources. It is by introspection and meditation that truth is truly discovered, that wisdom truly accrues. Fame and fortune for personal gain are as useful to the journey as a pair of cement shoes. Tragic events occur at times from far out of the blue, destined to turn our lives upside down or extinguish them altogether. Natural disasters and the ones we create ourselves are features of the landscape into which we are born. Who can know exactly why? We tend to think of karma as a personal matter, but it can be collective as well. Nations and tribes accumulate karma, as do smaller and even seemingly random groupings of people. Members of these collectives are seldom conscious of the karmic connections they share. Perhaps the ties are other lifetimes old, and in view of this, we wonder: Was there a karmic relationship, for example, that encompassed all 230,000 people who were swept away on Christmas Eve by the massive Indian Ocean tsunami of 2004? For the answer to questions such as this, I look to the East: to the ancient wisdom of avatars and sages; and to the light that shines in the spiritual eye of a deep meditation. But sometimes, nonetheless, we are left with mysteries we cannot fully solve. Just as a cup cannot hold the contents of a much larger vessel, we cannot know if or how our past-lives connections may be at play in this one. The volume in the vessel that contains them is greater than that of our capacity to receive it. Still, the message delivered in sudden misfortune is ever the same: Be ready to accept with equanimity all possibilities. Bad things happen to good and bad people alike. So, what is the good of denial, anger, or regret? What is the point of wishfully dwelling on a different outcome that did not occur instead? Help where you can. Pray to heal where it hurts. Feel, but do not lose yourself in emotion. Calmness in time of sorrow or crisis is not easily won. We have been conditioned to worry and fear, to react and blame, to believe that suffering is cleansing. Truly, we have much to unlearn, and it is this reverse learning process that is the essential learning curve before us. How is one to make sense of this life? It’s a moving target that never seems to change, and yet changes all the time: all the time and everywhere, from cell to shining sea. Duality is the governor that life on earth obeys. There is no other law that can challenge it for consistency of command. Up and down we go, unaware from day to day that “zero” will be the final result of our merely mortal ventures. Duality ordains it so. Still, we persist in our sense-making endeavors. We string together the episodes of our lives, reviewing the failures, successes, and juxtapositions, striving by mighty mental computation to understand the various parts and the whole. But life does not yield its secrets to sense-making endeavors. Experience of a higher nature is the key that unlocks the vault wherein this knowledge resides. The mind itself cannot do it. If you would make sense of this life, study the lives of saints, and then take what you learn into your inner sanctuary of silence, where duality no longer presides, where secrets are revealed. There’s a funny one-liner that bemoans the effects of aging: “Of all the things I’ve lost, I miss my mind the most.” Thank goodness for humor. It softens the blow. Actually, though, the real problem lies in the other direction. Losing our mind is all too rare an event. Doggedly, it clings to us like a magnet made of chatter. As Eckhart Tolle has written in The Power of Now, the inability to stop thinking has become “a dreadful affliction,” but since almost everyone suffers from it, we take it as normal. The truth is, nothing comes between us like our very own mental activity. Restlessly, it denies us the experience of oneness with all that is. From moment to moment, wherever we turn, our senses recognize this and that as unrelated to me. Thus, believing that separation exists, we have managed to turn this Garden of Eden into a kind of Marx Brothers asylum. As someone who remembers combing through dusty library stacks and pouring through pages of piled-high books for term-paper material, today’s instant finger-touch access to every obscure fact under the sun is beyond astonishing. What Google and other search-engine wizards have accomplished is almost inconceivable. Now we have Wikipedia too, and countless other online resources for becoming conversant on every subject imaginable. Thanks to such innovation, however, we’ve become a world of incurable “informaniacs,” certain that we are smarter than any culture has ever been. But maybe not. A head full of information is not necessarily, and not even likely, an indication of knowing what needs to be known. Information adds to the mind’s encyclopedic storage. Knowledge and wisdom, however, have more to do with subtraction than addition. They increase as the mind is emptied of mere information, making room for discernment and discrimination. Though the wise are seldom uninformed about worldly matters and essential “how to” approaches to problem-solving in general, they are also acutely aware of the limits that factual data are finally sure to reach. Because information offers no experiential component, it cannot provide the “extra mile” of understanding that is needed to grasp it fully. Information maps the long way home, circumventing the heart and its arterial route to Spirit. Beware how much you take in. It is the writer’s nature to wish that what he has written might have been written better. And so he revisits, revises, and revises again, until he happily strikes the note he was seeking or simply wearies of the battle, allowing his final version to represent the measure of his skill. In coming upon a piece in later years, he will sometimes find himself pleasantly surprised at how well it reads, but often he will be reminded that he should have revised it again. Yet, as a writer, I am also humbly aware that language cannot reveal or express the depth or fullness of life. It arrives on the scene after the doing is done. Although it may embellish what has occurred, it remains a generation removed. Language is to experience as rumor is to truth. Even when it is right, it is just a reporter. It is fascinating to observe how we age. The mind, persistently in denial, continues to think of itself in the prime of youth, even as its acuity slips below its youthful performance. We remember how fast we could run, how agile we were, how long we could last in a test of endurance, and we don’t quite get the disconnect between memory and today’s reality. Meanwhile, the flesh wrinkles, joints creak and ache, physical strength weakens, and stamina wanes. It’s a humbling experience that for many induces frustration and resentment. I am one of the fortunate ones, and I am sincerely grateful for the health and vigor I have been blessed to maintain. But for over twenty years now, people have called me mister and sir, failing to see me as I see myself, and when women flirt with me, they are no longer serious about it. Ouch! It’s not that I am unused to these titles and gestures of respect, or that I do not appreciate them. But I miss being mistaken for a man who is not of my vintage. Like iodine on an open cut, the politeness stings a little. Yet, I have memories of an era that younger generations will never know as richly as I who lived them. I grew up in a special time and place, in years that were simpler and sweeter than any I have known since. There is treasure in that, and I would not trade it for the attributes that I can no longer claim. It is more than just nostalgia, it is melody and joy.